The history of science is littered with bones. Since antiquity, humans have studied the remains of the dead to understand the living. The practice is as common now as ever; only the methods have changed. In recent years, high-tech analyses of human remains have solved mysteries ranging from our ancestors’ prehistoric mating patterns to the cause of Beethoven’s death. The latest example of this morbid scientific tradition can be found in the e-pages of this month’s PLOS Pathogens. The colorful cast of characters includes European geneticists, a handful of teeth, a 6th century plague, and the US Department of Homeland Security. Although the word plague is often used as a synonym for disease, plague actually refers to a particular type of illness caused by the bacterium Yersinia pestis. Rampant infection by Y. pestis was responsible for a recent pandemic in the 19th to 20th centuries. Before that it caused the 14th to 17th century pandemic that included the epidemic known as the Black Death. Yet the pestilence of pestis may have swept across human populations long before the Black Death. According to historical records, a terrible pandemic killed people from Asia to Africa to Europe between the 6th and 8th centuries. It struck the Roman Empire under the watch of Emperor Justinian I, who contracted the disease himself but survived. The pandemic now bears his name: the Justinianic Plague. But was Justinian’s malady really a plague or has history pinned the blame on the wrong bacterium? A group of researchers in Munich decided to find out. By digging up ancient graves, of course. And helping themselves to some teeth. The ancient graves were in an Early Medieval cemetery called Aschheim in the German state of Bavaria. The site was a strange choice; the authors reveal in their paper that the historical record shows no evidence that the Justinianic Plague reached Bavaria. However, the site was conveniently located within driving distance of most of the study’s authors. (It’s always easiest to do your gravedigging closer to home.) The authors did have solid evidence that the graves were from the 6th century and that each grave contained two or more bodies (a common burial practice during deadly epidemics). In total, the group dug up 12 graves and collected teeth from 19 bodies. The scientists took the teeth back to their labs and tested them for a stretch of DNA unique to Y. pestis. Their logic: if the individuals died from infection by Y. pestis, their remains should contain ample DNA from the bacteria. Of course, some of this DNA would have deteriorated over the course of 1.5 millennia. The scientists would have to make do with what they found. 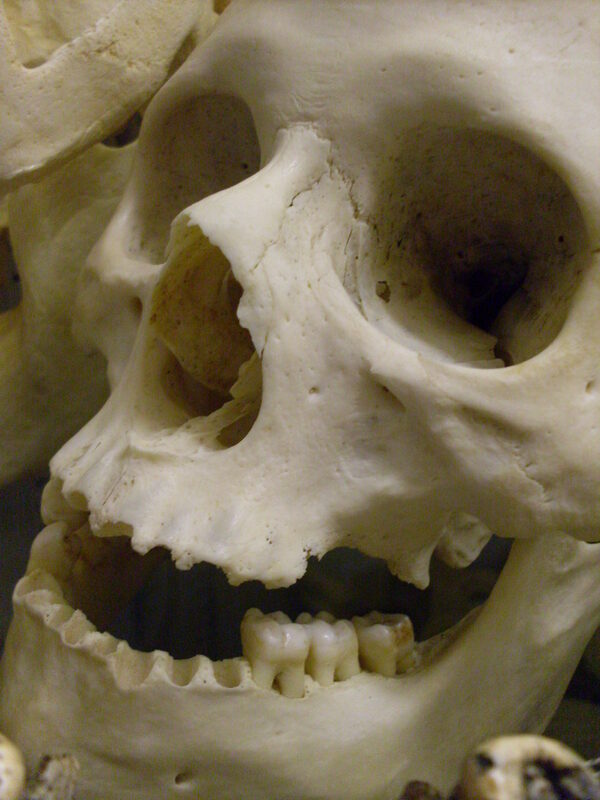 They used three different methods to amplify and detect the bacterial DNA, however they only found a reliably large amount of it in the teeth of one individual, a body they affectionately nicknamed A120. They genotyped the Y. pestis DNA found in A120 to see how the bacterial strain compared with other versions of the bacterium (including those that caused the Black Death and the 19th-20th century plague pandemic.) The analysis showed that the Justinianic strain was an evolutionary precursor to the strain that caused the Black Death. Like the strains that sparked the second and third pandemics, this strain bore the genetic hallmarks of Y. pestis from Asia, suggesting that all three plague pandemics spread from the East. The authors write that they have solved their historical mystery. Ordinarily, the discussion sections of scientific papers are littered with qualifiers and terms like might be and suggestive. Not so here, even though the authors’ conclusion explains a phenomenon that killed many millions of people worldwide based on data from the decomposing remains of a single person who lived in a region that historians haven’t connected with the pandemic. In most branches of science, sweeping conclusions can only be made based on large and meticulously selected samples. In genetics, such rules can be swept aside. It is its own kind of magic. If you know how to read the code of life, you can peer into the distant past and divine real answers based on a handful of ancient teeth. As it turns out, the study’s result is more than a cool addition to our knowledge of the Early Middle Ages. Plague would make a terrible weapon in the hands of a modern bioterrorist. That’s why the US Department of Homeland Security is listed as one of the funding sources for this study. So the next time you hear about your tax dollars hard at work, think of Bavarian graves, ancient teeth, and poor old A120.